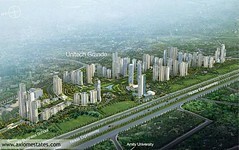 real estate: Best option of investment in India. The Tata Group Company plans to raise $500 million for an India-focused private equity (PE) fund through its partnership with Mizuho Securities of Japan. Tata Capital announced last month that it will raise 1 billion Dollars from both the foreign and domestic investors by the end of next year. On the other hand, Mizuho Sec plans to focus on developing a growth capital private equity business in India. Also, it wants to invest in Indian companies through private transactions. According to MD & CEO, Tata Capital, Praveen Kadle, Japan’s saving base offers a stable source of capital. If all goes well, there will be high investments from Japanese and other International investors. Also, Kadle told that the company chose Singapore only due to its transparent regulation with economic and tax advantages. PThe state of Southern India has shown a demand in Real Estate properties over the last few months which is a good news for the people of the trade. The Realty Sector in Hyderabad, Andhra Pradesh has shown sudden upsurge after the recent political turmoil it went through. The demand for both, commercial and residential properties have registered an increase. The trend is more evident in Tier I and tier II areas specifically; making them high demand markets. Even the prices of the realty sector have improved as the customers feel Hyderabad is the right place for investment thus increasing the sales. The sector is one of the biggest in terms of number of employees working in the country. 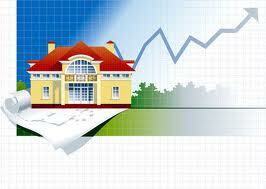 It is anticipated that in the next decade the realty sector will grow at a rate of 30% every year. This is bound to attract foreign investors with as many as 30 billion US dollars along with a number of IT parks as well as residential townships being constructed across our country. Everybody is cursing recession as it resulted into slowdown in market. But, have you ever realized that there is always some positive aspect behind every off-putting phase. Recession has changed the point of views of consumers, lenders and developers as well. Consumers became more cautious during spending their saved money. On the other hand developers shifted their focus towards low cost housing. Recession has made tremendous changes in real estate, various real estate giants showed interest in housing for middle class people rather than building a huge complex. Investors may seem to be winners with recession giving them an opportunity to pick investments at more realistic prices.